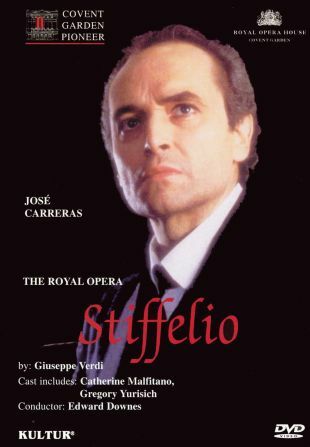 This production of Verdi's opera Stiffelio features Jose Carreras in the title role. Forced to confront his wife's adultry, cuckolded minister Stiffelia must come to grips with his own fallacies. Catherine Malfitano and Gregory Yurisich perform alongside Carreras.